Isn’t this a relevant metaphor for today’s cut-throat business environment? Staying up to date with technology trends makes your survival easy in the competition, and successful businesses are those who stay ahead of the curve, catering to target audiences and offering innovative solutions. You can easily create a moat around your existing client base if you are an Early technology adopter. Thus, the success of any business largely depends on your approach and most importantly, their ability to manage, adapt and execute swiftly the recent technology trends. There is no suitable date and time to wait for technology adoption in your business. When you see your business processes are taking longer man hours, look for efficiency or automation options. Introspect your business, business operations and market changes regularly. To eliminate the various technology implementation time and cost, now-a-days organizations prefer to outsource most of the functional operations like HR/ Admin and other operational processes. They may or may not get a single vendor for all processes. 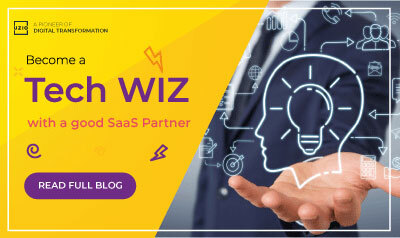 To cater to these demands, the SAAS industry has evolved to a level that organizations can just need basic infrastructure and solutions are easy to deploy. Brokers should look for One-Stop-Shop Health benefits technology vendors in their space. Not every entrepreneur is Technology whiz but choosing the right technology partner helps them become one. With all this said, all organizations have their unique formula of operations but there’s only so much they can control. Doing regular SWOT analysis and reading various industry trends can help to stay ahead in the competition. So, Are you a Tech Whiz Entrepreneur?